I think I’m in the “nesting phase” of pregnancy–30 weeks!–because being a homebody just sounds so good all of the time. (Not so good for the blog, though!) 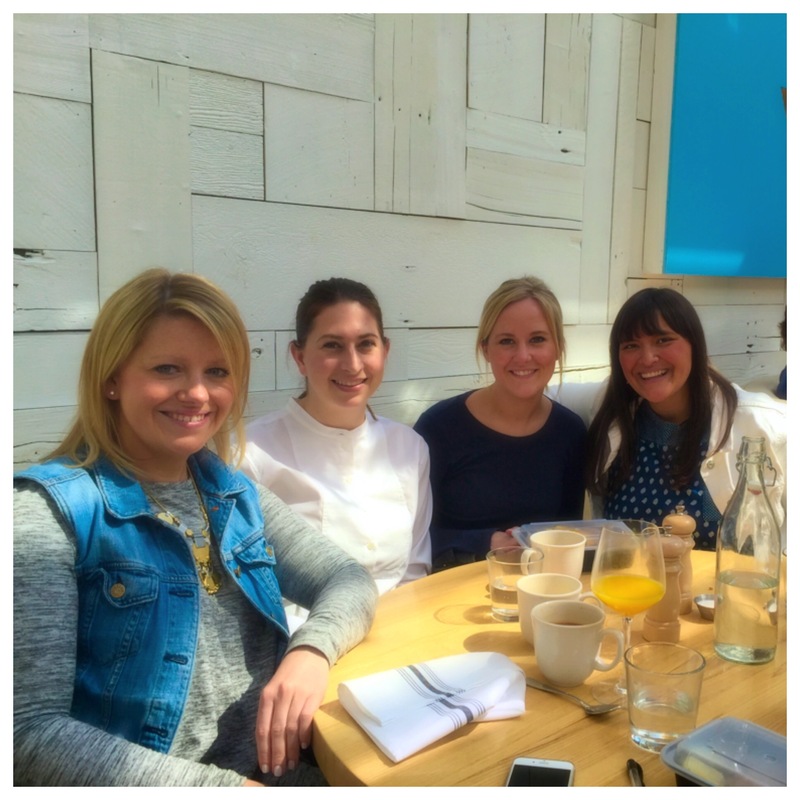 However, getting together for brunch with my childhood girlfriends is always a great time, so we made plans to visit Summer House Santa Monica in Lincoln Park. I’ve been wanting to come here for awhile. When I drive past it’s always busy, and I wanted to know what all the business is about! The brunch menu looked amazing, and when Lauren made the reservation, I was pumped. Tip 1: Go on Sunday morning at 9 am. It’s not crazy busy, and its (dare I say!) easy to park on Halsted. You don’t need to pay the meters, either. Bonus! 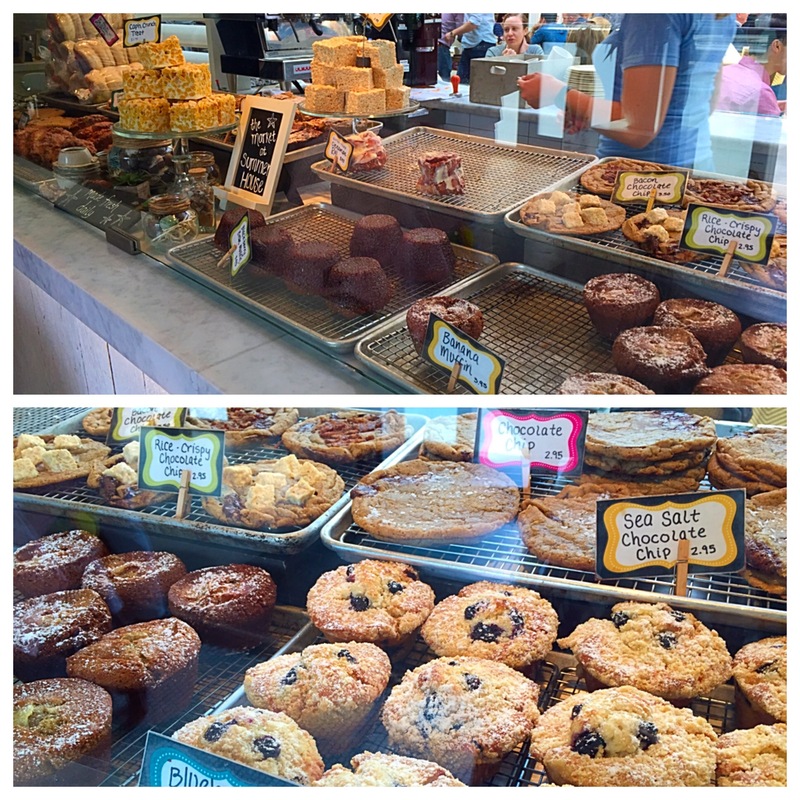 Right when you walk in, there’s a dessert case you can order from and eat at your table or take to go. The Cap’n Crunch treats (like Rice Krispie treats) had me at hello. The restaurant is gorgeous, one of those restaurants you want to live in with California cool style: bright, white, open, and light. Our waitress was the identical twin of Joey Potter (Katie Holmes) from Dawson’s Creek. She was kind, but the service in general was a little…different. They ran out of cream containers, so they brought it to the table in condiment containers (read: lots of spills and fingers by the liquid). The coffee and water refills weren’t as often as I would have liked. We didn’t have flatware for awhile, and our plates weren’t cleared quickly. Which leads me to Tip 3: Be patient. It’s busy, and I think the food is worth it. We started with a French Toast entree as our appetizer. It came with a generous dollop of whip cream and syrup. With four slices for four gals, this was the perfect start to our meal. 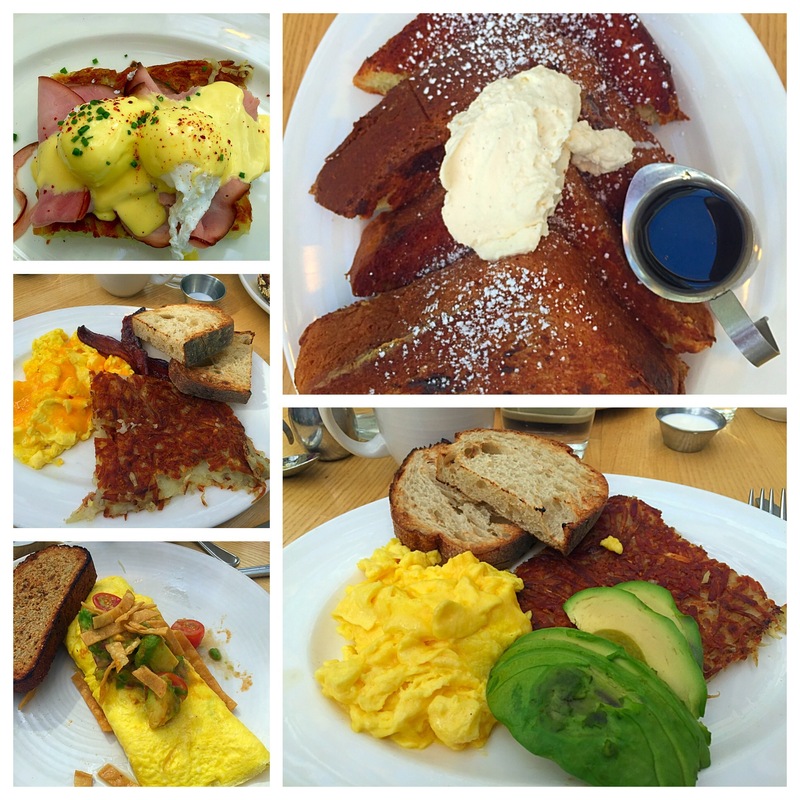 Tip 4: Please, order this French Toast! Crisp on the edges but soft and buttery inside, the toast melted in my mouth. Try it and you won’t be disappointed! Would I go back? Definitely, but I wouldn’t sit near the kitchen. Too hot. There are so many other menu items I want to try, it would be a shame not to return. 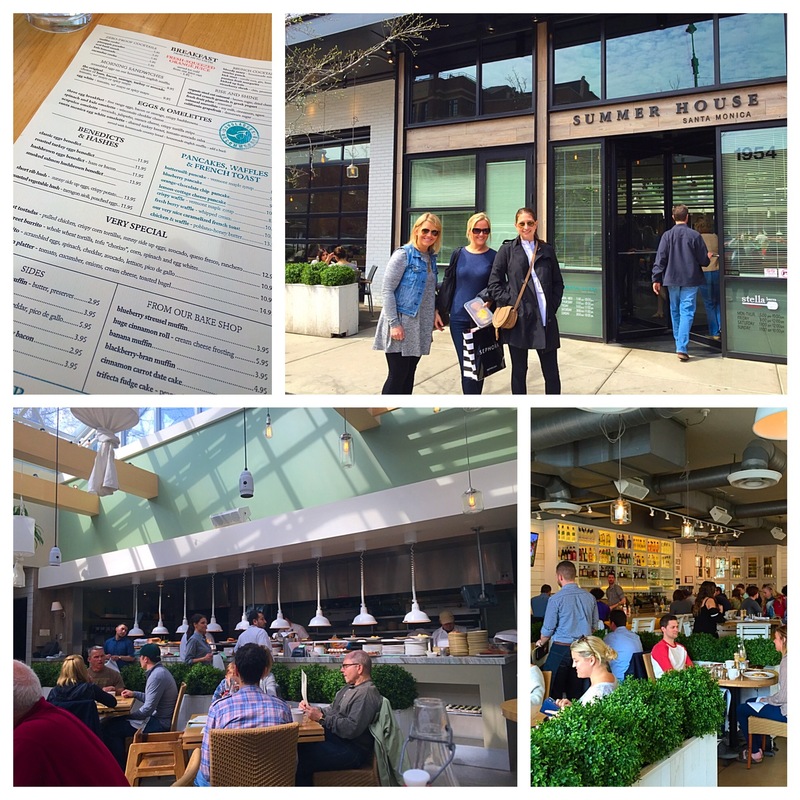 Not to mention, Lauren gave me a heads up that Summer House is a great place to brunch with kids earlier in the morning. Maybe I can have it all!